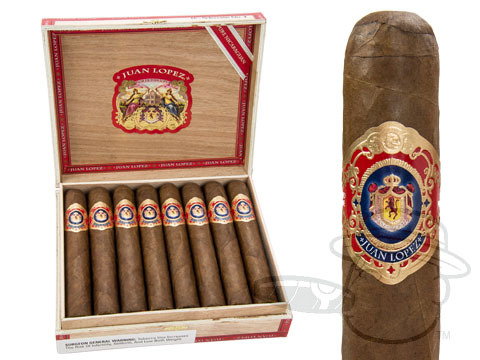 Juan Lopez cigars were introduced in 1876 as a Cuban blend, but were recently reintroduced as a Nicaraguan Puro by Altadis. Juan Lopez Diez worked in Havana and was known as the “Official Supplier of the House”. The brand changed names sixteen years later to Flor de Juan Lopez, until it was shorted to Juan Lopez when Altadis purchased it. 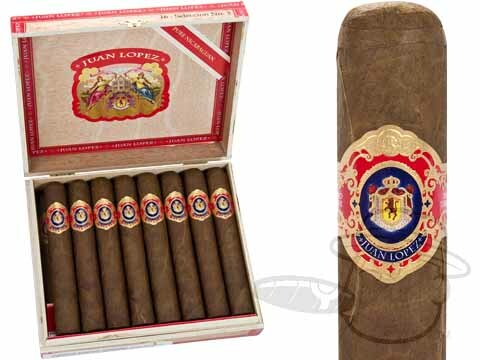 Juan Lopez cigars are a perfect smoke for the medium bodied smoker, and Cigar Aficionado gave the Juan Lopez Epicure No. 1 an “outstanding” rating, as well as declaring it one of the Top Ten Cigars of 2005. Juan Lopez cigars have seemingly flew under the radar as not being a hugely successful blend, but fortunate for you, this has allowed the price of the cigar to stay low. Being manufactured at the Nicaragua American Tobacco S.A. factory in Estelí, Nicaragua, these cigars are a definitive premium Nicaraguan Puro offered at a steal of a price. 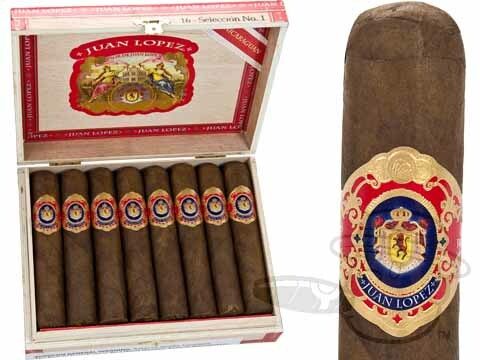 Offered in a variety of shapes and sizes, the Juan Lopez cigar is powerful, but it still maintains a rich flavor. There are hints of spice, as well as woody notes, but all in all this cigar is a traditional cigar. It’s not a complex cigar that has all sorts of flavors and hidden treasures, what you see is what you get with a Juan Lopez cigar. In a time when most new cigars contain a lot of these complexities, it’s refreshing to be able to smoke a cigar that is a quality handmade cigar, at an affordable price, that is just simply a good Nicaraguan Puro cigar. 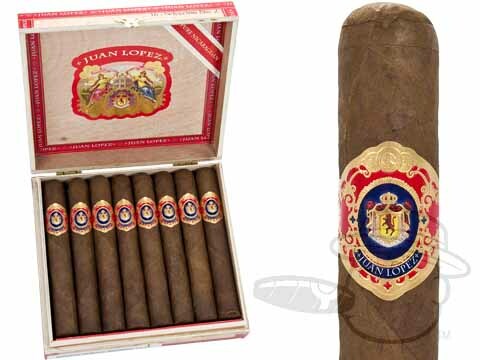 Using ultra-rich Nicaraguan tobacco for the binder and filler, the Juan Lopez cigar could easily be a ten dollar a stick cigar, when instead BestCigarPrices.com offers Juan Lopez cigars at less than half of that. There’s simply nothing to lose with a Juan Lopez cigar. Try a box or a five pack today!